I received the December crate twice. Not a gigantic deal because I did like that crate but a bit disappointing. I don't seem to have the same issue of waiting forever for crates as some do. Perhaps the reason could be that I'm three hours from a major port. Some months I get it shortly before two weeks and others I wait 4. It's a craps shoot every month. I still enjoy the crate, aside from eel jerky strips a couple of months ago that the dog at least loved. Hi! We appreciate the insightful feedback. If you have any questions or concerns in the future, feel free to contact our support team for assistance (info@japancrate.com). We’d love to hear more of your feedback regarding our items. 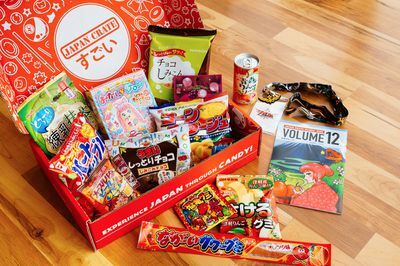 Please send an email to info@japancrate.com and they’ll make sure to pass your feedback along to our purchasing team. I tried the September box and was extremely disappointed. The snacks either weren’t tasty at all or had a bad after taste. Hi! We sincerely apologize for the experience. Japan is known to offer uniquely flavored items, some of which may require an acquired taste. Terrible customer service. I still haven’t recieved my January 2018 crate. I waited the full 6 weeks before emailing info@japancrate.com and when I did I got an automatic response saying they’d get back to me in 3-4 business days. As of Monday it will be 8 business days and I still haven't gotten a response. I feel like I’ve been cheated; there’s no other way to contact them so I’m stuck just waiting (you aren’t supposed to open more than one ticket). It’s extremely frustrating. I was warned by a friend not to subscribe to doki doki crate; she said ever since they switched their shipping back to Japan the schedule and service has been awful. I didn’t believe her and I really should have. I have yet to receive a crate in the month it was intended for. This wouldn’t be a big deal, but a lot of the items tend to be season-specific. It’s hard to find a use for a Christmas tree key chain/ornament in January. The items are cute but definitely not worth the stress of wondering where your box is and if it’s actually going to show up. Some tracking information would be really helpful.